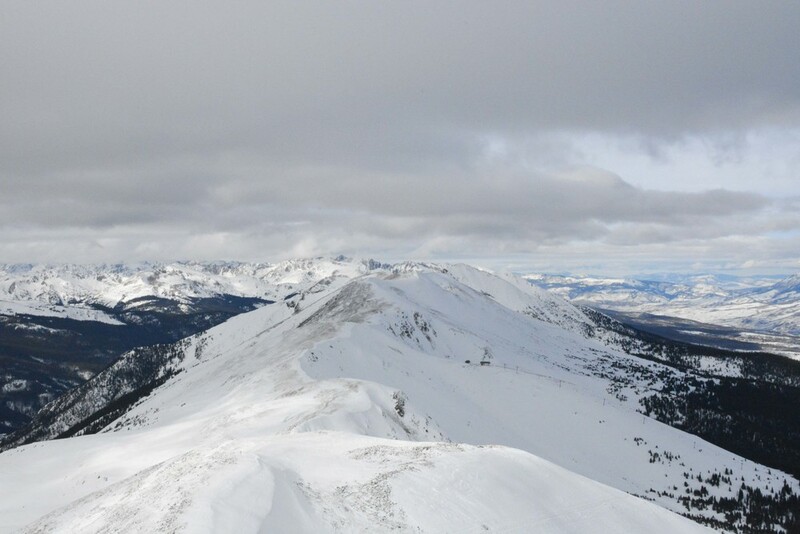 I've skied in two states that are located in the American Rockies - Utah, and Colorado. My first Rocky Mountain experience was in 2006, during a visit to Utah with my family. It was a very different kind of skiing from what I was used to - not quite as alpine as the Alps, not quite as tree-covered as New England. The snow was great. I've visited CO for the first time in 2011 - and every year since then I've been back. 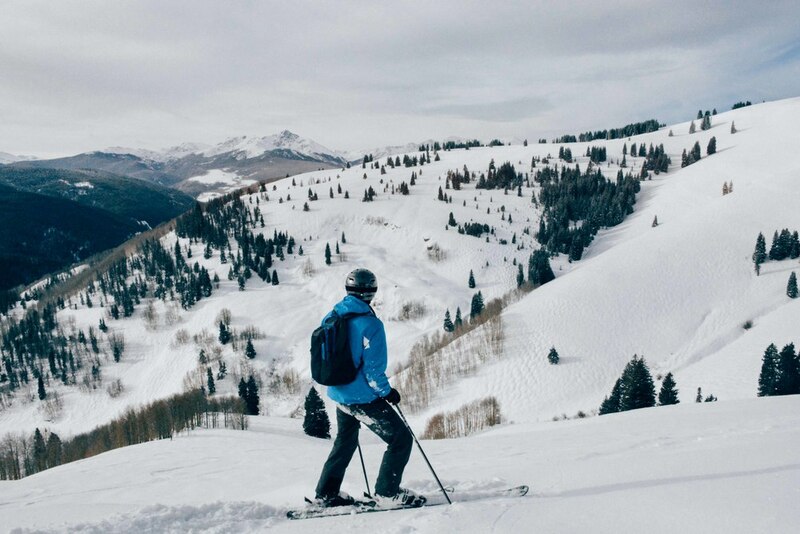 There are many great resorts in the American west, but what I love about Colorado is how affordable and accessible it is to ski in Summit and Eagle counties. Sure, most resorts still charge a hefty $80-100 fee, considerably more than resorts on the East Coast, but accommodations and transportation is affordable. JetBlue offers reasonable non-stop fares from Boston, the car rentals generally run at about $80-90 for the weekend, and you have plenty of off-resort lodging opportunities around Silverthorne and surrounding towns. While I've made prior week-long trips to Colorado, in the past few years I've been taking weekenders - flying out Friday night, coming back on a red eye Tuesday morning. Three days of amazing, powder-filled skiing. This year I've come out and stayed in Silverthorne once again, a little mountain town nestled conveniently at the heart of ski resort country. The resorts are all located within a 20-40 minute drive from each other, so it's easy to hit a few different places in one weekend. 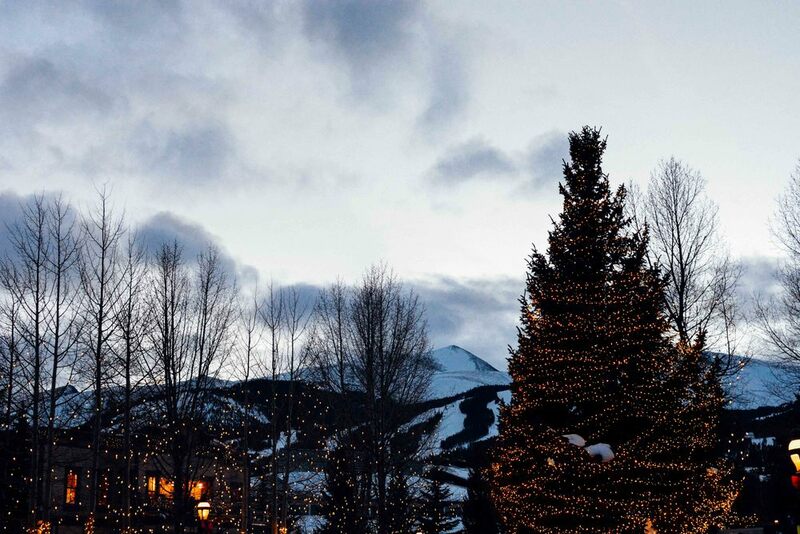 Breckenridge is an awesome town that has that true ski-bum feel. It's not packed with fancy hotels or restaurants - there are fun bars, little cafes, and gift shops. It's a great place to just hang out. The mountain itself is big. It doesn't look big at first glance, but I have never been able to cover the entire mountain in one day. Unfortunately this winter's start was rather shallow in Colorado, and I've arrived at Breckenridge just on the last day of that dry spell. Skiing was still great - all the trails and bowls were open, but with no snow in the previous week and warm daytime temps, a crust developed creating a less than ideal experience. My advice for anyone skiing Breck - if you're a true ski enthusiast, head over to Keystone (a quick 20 minute drive from Breck) for some night skiing. Check the schedule on their website, but they are usually open Fridays Saturdays until 9 or 10, with fireworks on Saturday evenings. Keep in mind that your Breck pass lets you ski at Keystone as well on the same day. So if you're down to ski from 9 AM to 9 PM like me, you're covered. Sunday, fun day. Sunday, pow day. Beaver Creek has some excellent tree skiing, as well as some nice steeps. It's also a bit less crowded than Vail, known for long lift lines, especially on weekends. The powder was great. So great, in fact, that I felt the urge to film myself doing some epic snow-filled, jumps in the trees. And those were going well, until I landed on my face and cracked, or at least severely bruised my nose. The filming ended there. If you've ever been to Vail, you know how huge the place is - spanning two valleys, it is very difficult to cover even half of the mountain in detail, within one day. 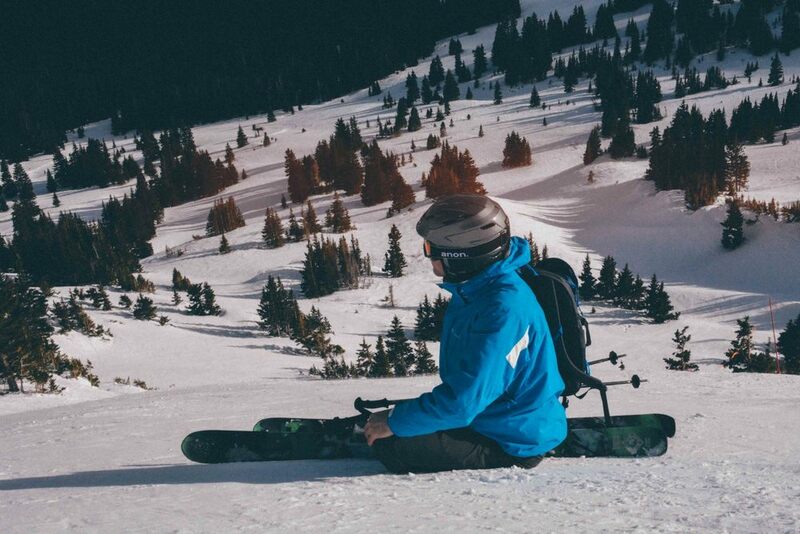 Vail is all about bowls and wide open spaces. On weekends, skiers flock to the resort in numbers that even Vail's high-speed lifts can't always handle. So Mondays are a big reprieve for someone like me, looking to get a lot of runs in without waiting. Every time I've been to Vail, I've rarely spent much time on the front side of the mountain, spending most of my time in Blue Sky basin and the back bowls. This year, the snow was a bit of dust on crust, so parts of the back bowls were rather disappointing. But the groomers and north and east facing slopes were still in excellent condition. Enough to have a blast. Whistler holds a very special place in my heart. As one of the biggest resorts in North America, a town nestled in the scenic moss-draped evergreens, Whistler offers an upscale, yet relaxed ski town atmosphere, and close to 500 inches of annual snowfall. With steeps, glaciers, and chutes as well as plenty of glades, Whistler and Blackcomb are skier's paradise. I call it backcountry without the hike. 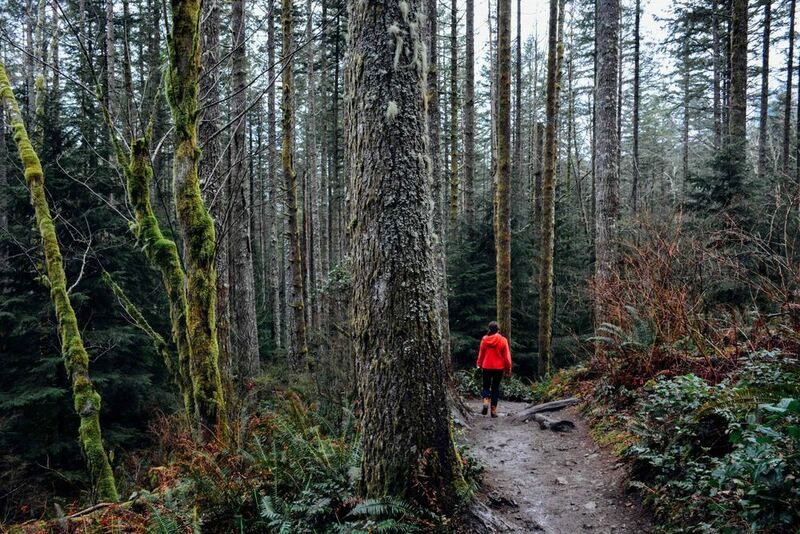 Unlike many other resorts, there's almost no terrain in Whistler that's off-limits. Ski patrol can make recommendations, but you are free to ski anywhere you wish, at your own risk. This year has been my 4th time in Whistler. During every visit, I've skied in Whistler/Blackcomb for 6 days - and it never gets boring or old. I don't think I can say the same about Breckenridge or Vail. After all, Whistler and Blackcomb offer more than 8,000 acres of skiable terrain, while Vail only boasts about 5,000. 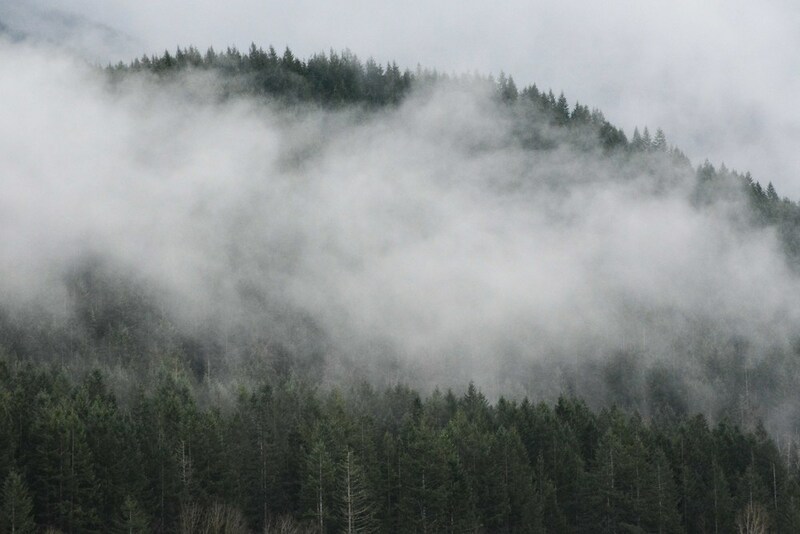 Weather in coast ranges of Southern BC is unpredictable. Some winters deliver stable cold temperatures and a healthy snowpack, while others, like the beginning of this season, are warm and rainy. Much to our frustration, the forecast called for above freezing temps with rain most of the week. The first day Larisa and I decided to ski Blackcomb, simply because the line to the Blackcomb gondola seemed shorter. Despite some light rain in the valley, higher elevations were getting hammered with high winds and nearly whiteout conditions. Bad for pictures, great for the trails. The next three days were the best days that week. Sunny skies with light flurries. We spent a lot of time in the Blackcomb Glacier, 7th Heaven, Whistler Peak area and Symphony where the snow was soft and abundant - skiing bowls and chutes. Tree skiing wasn't great this year, though on a good year, Whistler has some of the best tree skiing, comparable to Park City and Canyons. The last two days were unfortunately a wash - quite literally. A warm front moved over much of the Pacific Northwest, bringing heavy rain with temperatures in the valley reaching 12 degrees Celsius. Trails turned into rivers as water was mixing with the snow creating dams that snow patrol consistently tried to remove. In the extreme alpine regions of the resort, wet, heavy snow which @WhistlerBlackcomb consistently attempted to market on Twitter and Instagram as "powder" covered the trails, making turns very difficult. It wasn't "fun", but it was a kind of adventure I won't ever forget. Unfortunately, as our climate changes, we may start to see more and more seasons like that. 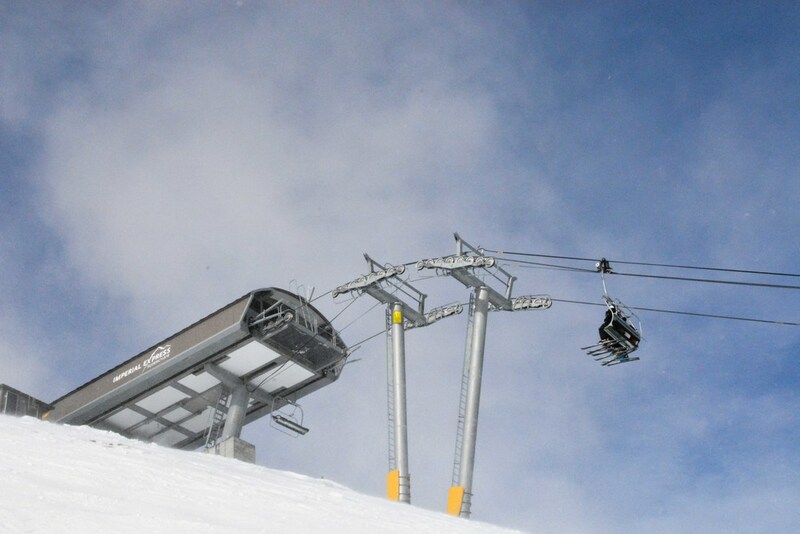 The last day, due to high winds and extreme avalanche danger, Whistler went down to only one open lift - Emerald Chair at mid-mountain. On the more positive note, there's always something you can entertain yourself with in Whistler. One of my favorite places is Scandinave Spa on the outskirts of the town. It's kind of a hidden gem that has gotten more and more popular in the past couple of years. It's a bit costly per visit at roughly $50 entrance fee, plus $200 for a couples massage, but with it's location in the redwood forest and the excellent Scandinavian baths, it's well worth it. Having finished skiing in Whistler on Friday of that week, we weren't flying out until Sunday night. That gave us a couple of days to explore Vancouver and the area before heading back to Seattle. In addition, our flight has been cancelled due to all the crazy snow we had back in Boston, so we weren't flying out until Tuesday. Our last day in the Seattle area, we headed over to Rattlesnake Ledge, a small mountain overlooking the Mt.Baker-Snoqualmie National Forest, right at the foothills of the Cascades. It's a terrific rainforest hike leading up to a terrific view. Well worth it. After finishing our short hike at the scenic Rattlesnake Mountain, we had some time to spare, so we headed back to Seattle for a short walk on Alki Beach. Alki is located across the Elliot Bay from downtown Seattle and offers quite a picture-perfect skyline view. So that was my ski season! Two great trips, a lot of great skiing and exploration. Looking forward to next winter already. My snowderlust just can't stop. Newer PostSo we tried Slack. And failed.